Why See Within Temptation and In Flames? 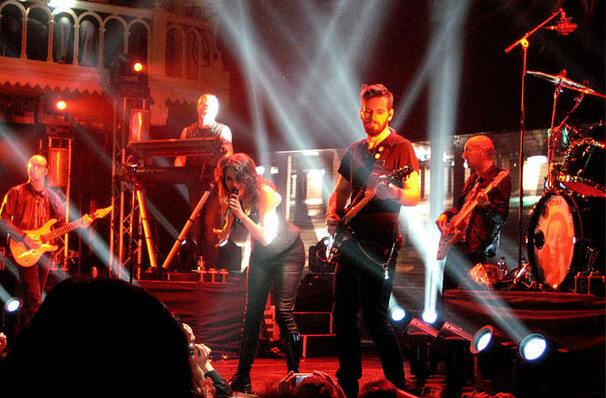 Titans of symphonic metal Within Temptation formed formed in the Netherlands in 1996, under the creative direction on on-stage and off-stage long term partners Sharon den Adel (soaring vocals) and Robert Westerholt (flaming licks). Their breakthrough came just four years later with the release of smash hit single 'Ice Queen', which ruled the Dutch and Belgian charts, and paved the way for an international success. Nineteen years and seven albums later, the band are gearing up and joining forces with Swedish heavy metal stalwarts In Flames for a whirlwind US tour to celebrate the release of their latest offering Resist. Much like the driving gothic-tinged metal of their onstage friends Within Temptation, In Flames purvey a melodic brand of heaviness with added Swedish thunder and are widely regarded as forerunners of the Swedish Death Metal movement. With an almost punk rock spirit, they fuse neo-classical guitar solos, intricate fretwork and booming drums with an experimental progressive sound, resulting in powerful anthems that regularly rock the rafters at their live concerts. Wear some comfortable shoes - there's bound two be a stormy moshpit or two at this infernal co-headline show. Seen Within Temptation and In Flames? Loved it? Hated it? Help your fellow Salt Lake City Theater visitors by leaving the first review! Sound good to you? Share this page on social media and let your friends know about Within Temptation and In Flames at Rockwell At The Complex. Please note: The term Rockwell At The Complex and/or Within Temptation and In Flames as well as all associated graphics, logos, and/or other trademarks, tradenames or copyrights are the property of the Rockwell At The Complex and/or Within Temptation and In Flames and are used herein for factual descriptive purposes only. 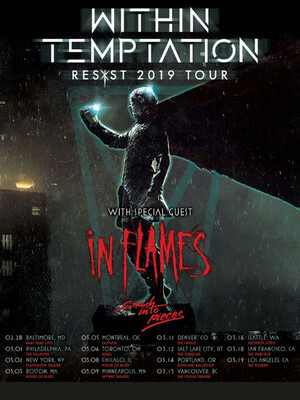 We are in no way associated with or authorized by the Rockwell At The Complex and/or Within Temptation and In Flames and neither that entity nor any of its affiliates have licensed or endorsed us to sell tickets, goods and or services in conjunction with their events. Salt Lake City Theater is part of the Theatreland Ltd Collection. Established in 2003, Theatreland offers the largest individual collection of websites providing complete, impartial guides to all the theatrical, musical and performance arts events and venues in the world's greatest theatre cities, from New York's Broadway to London's West End and from the showrooms of Las Vegas to Shakespeare's Globe Theatre.